Quest Recruitment is lucky to be situated in the historical heart of Dublin. 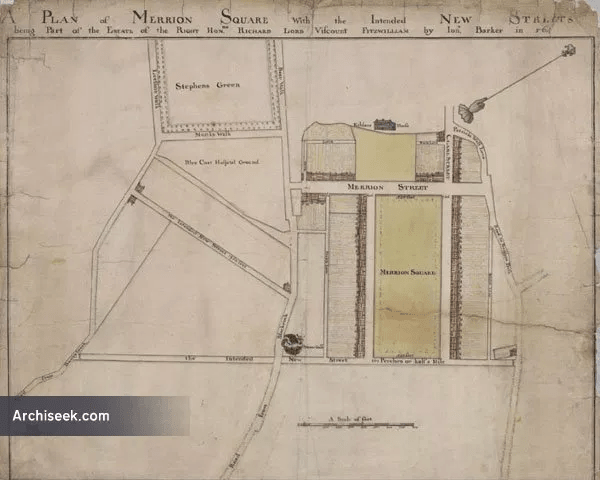 The park and residential settlement of Merrion Square was started in 1762 and took over 30 years to complete. With the address of 59 Merrion Square South, we can boast having had famous neighbours such as the poet and novelist Oscar Wilde, who lived at Number 1, Daniel O’Connell, the Irish political leader referred to as ‘the Emancipator’ who lived at Number 58, and W. B. Yeats at Number 82. Although it may seem farfetched now, there was once a time that the magnificent buildings on Merrion Square were family homes. 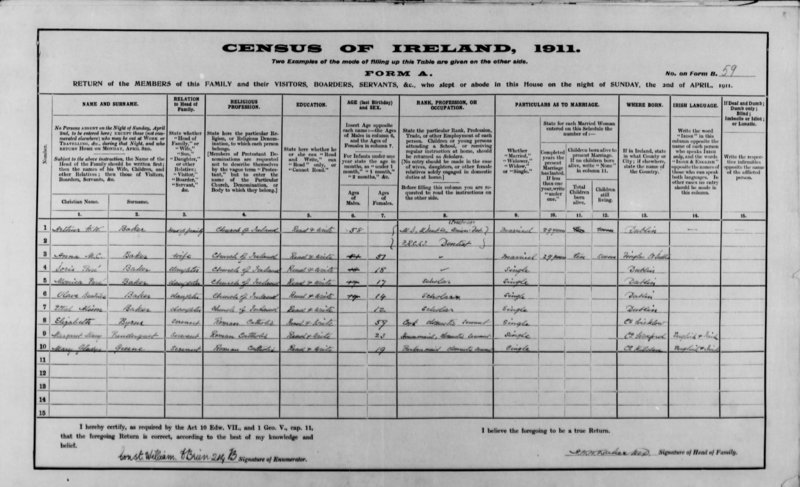 Using the National Archives of Ireland website, we searched the 1901 and 1911 Census’ to see who used to live in the same space that we work in every day. It was exciting to put our address in the search bar and have two records show up, those of the Tannam and Baker families. 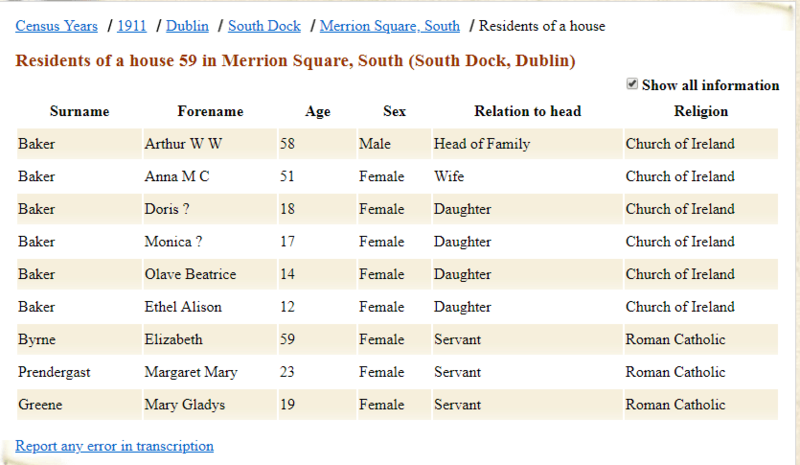 In 1901, 59 Merrion Square South was lived in by the Tannam family. 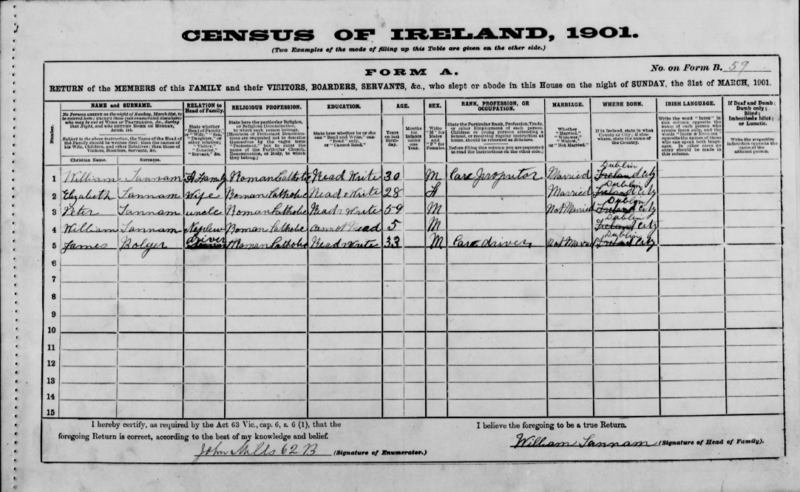 In 1911, the census shows the Baker family were now in residence. It is amazing that over 100 years later and through so many changes in this Country, we can identify who used to live in these great Georgian houses. Take a look at the National Archives website and see what you can learn about the past! 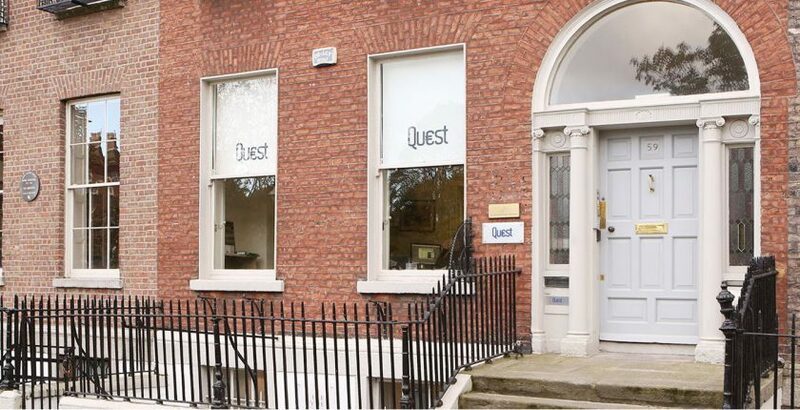 Quest moved our headquarters to 59 Merrion Square in 2007, securing a strategic location in Dublin City Centre surrounded by Irish history every day. With our offices looking out on to Merrion Square Park, we find that we are ideally located to build and maintain relationships with our longstanding Clients and Candidates.